My loft is a mystery to me. So why is he happy to indulge my whim? I wouldn't be surprised if he's cheating the diet! Is he having loft parties and I'm not invited? when I ask for shoes I haven't seen since the nineties? What a fantastic poem! 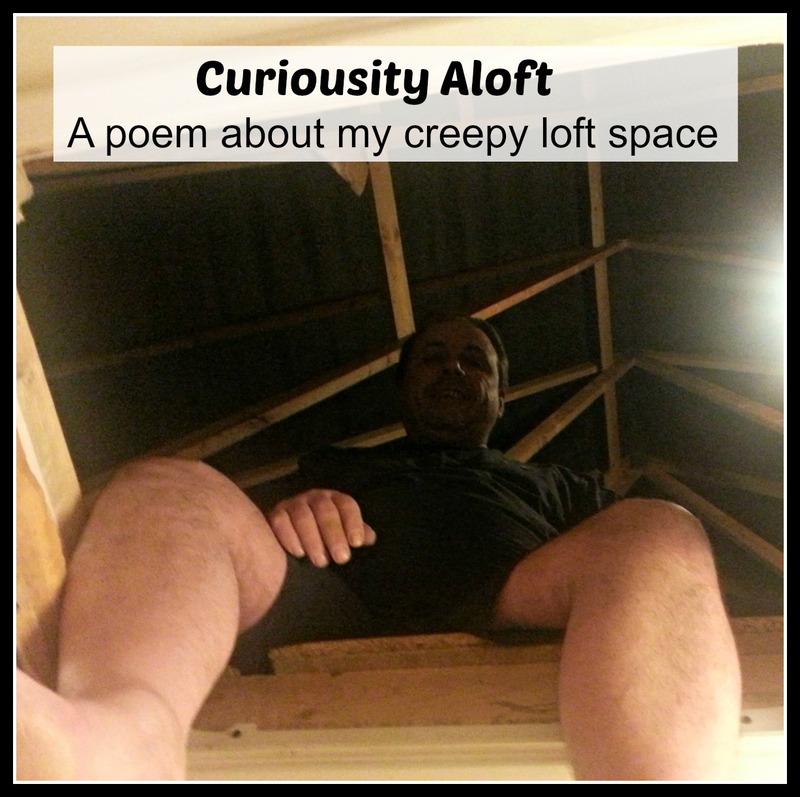 I'm don't have a clue what is up in my loft and I'm scared of going up there too. I've often wondered how I would cope with a basement. Badly, I should imagine! So many people have agreed with me, at least I don't feel like I'm the only one now! I had no idea this was a thing, I thought I was the only one! This is written so well , I loved reading your post. Great poem! I wonder what he is keeping up there?!! Thank you. We may never find out! HAHA Lucy you are so funny. We must be like twins, my loft is mystery to me too. Just the idea of going up there freaks me out. However Darren is very different to Phil, Darren moans when I need stuff to be added or brought down. Thank you! At least, reading the comments, we know we are not alone! Thank you, Victoria! I sometimes challenge myself to rhyme a tricky word. My personal favourite was 'Pellegrini', lol! I love this, so creative! Ha great poetry. I'm amazed how many people feel the same as me! I've giggled a lot reading this. Very nice and fun poet, nice writing it. Cute poem. I bought this house in July and haven't even opened the loft as yet to see what is up there! Scary!! Mine is next to the stairs, so when you look down from the ladder, it seems like a much bigger drop than it actually is! I would love to have a loft!! All the things you could keep up there - now I'm intrigued....what is your husband doing up there?? !